A lot of people I talk to want to experience the personal and professional freedom of coaching clients online, but let’s be honest: Making the leap into such a new, massive industry can be daunting. – How to take back control of your career by crafting the perfect fitness business for you. – The freedom gained from a bit more money in a bit less time with a bit better schedule. – The confidence gained from selling and marketing the right way, always knowing the right thing to say at the right time. The answer to all the above and more are available in my friend Jonathan Goodman’s Online Trainer Academy. It’s literally the first of its kind, offering the world’s first certification course for online trainers. —> Click here to get in before enrollment closes! – Email, status update, and sales call scripts. – Fill-in-the-blank documentation to send to clients and to run your business. – Tracking checklists, worksheets, and guides to keep you on track and focused. I’ve gone through the material myself, and let me tell you: All trainers, coaches, and gym owners can use the material in Academy to build an entire business from the ground up or as an alternate income stream. 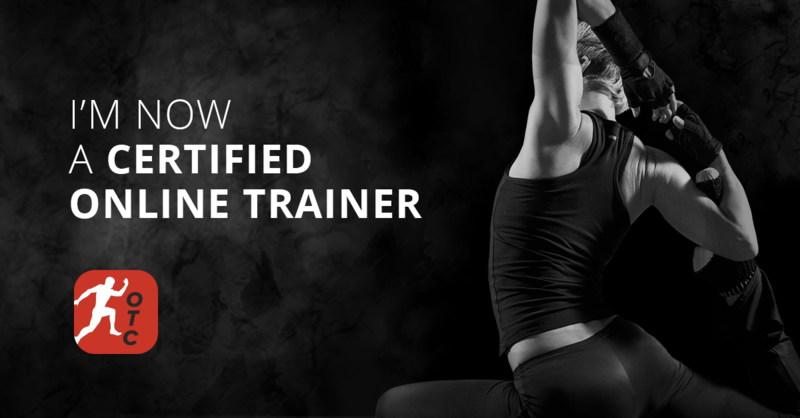 Now is your chance to become a certified online trainer! The good news? If you act now, you can get into the world’s only online trainer certification program. The bad news? Enrollment is only open for a few days, and once enrollment closes, you’ll have to wait 8 months so even if you aren’t ready right away to start, jump on it so the materials will be ready for you when you are ready (there’s no timeline to complete). This entry was posted in Online Training and tagged Kristy Lee Wilson, Online Personal Trainer, Online Personal Trainer Certification, Online Personal Training, Online Personal Training Programs, Online Trainer Academy, OTA.